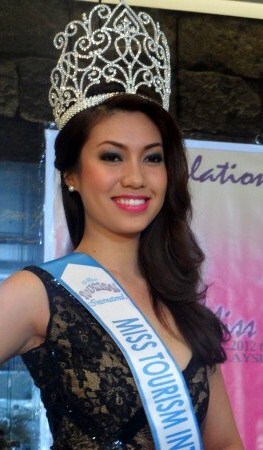 Rizzini Alexis Gomez is Miss Tourism International 2012. A registered nurse from Cebu City Philippines bested fifty-four other contestants. Fifty-five beautiful young ladies from different countries participated in the contest. The beauty pageant was held in Petaling Jaya, Malaysia, 31st of Dec. 2012. Miss Gomez also won best in evening gown aside from winning the coveted title. Heartiest Congratulations to Miss Gomez and to the people of Philippines! Filipino women are beautiful ;) no doubt about that. @Balqis -Thank you my friend. I am glad to see you again. @Jidhu Jose - I agree. :) (lol) @Shannel Lee - Thank you. Welcome aboard. Thanks you for following my blog, too. Hmmmm .... she deserved the title, she's beautiful. Beautiful! She is a great Choice!